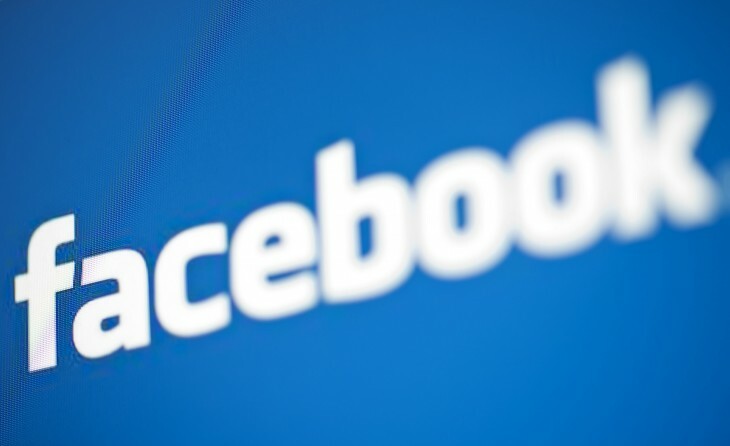 Given that Facebook is the world’s largest social network with over 1.15 billion users, it’s no surprise that many turn to the platform for news. In the US, about half of adult Facebook users, or 47 percent, get news from the social network. Facebook has over 128 million monthly active users in the US and more than 101 million daily active users in its home country. Extrapolating the previous figure, about 30 percent of the US population gets news from the social network. These latest figures come from a survey conducted August 21 to September 2 by the Pew Research Center in collaboration with the John S. and James L. Knight Foundation. A “nationally representative sample” of adults 18 years of age or older was used, according to Pew: 5,173 respondents, 3,268 of whom are Facebook users, of which 1,429 are Facebook news consumers. 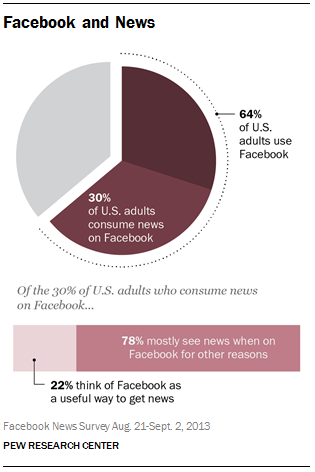 All that being said, Pew found most US adults do not go to Facebook seeking news out. In fact, as you can see in the chart above, the vast majority of Facebook news consumers (78 percent) get news when they are on Facebook for other reasons. Furthermore, Just 4 percent say it is the most important way they get news. In other words, Facebook is big enough now that it can be used to share news to users who don’t actually go out and seek it. In fact, while only 38 percent of heavy news followers who get news on Facebook say the site is an important way they get news, that figure rises to 47 percent among those who follow the news less often.